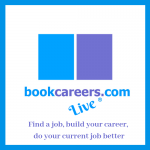 sponsored by Inspired Search & Selection Ltd.
All statistics are taken from the bookcareers.com Salary Survey 2017 and are the copyright of bookcareers.com. The full report is now on sale. Respondents completed an online form, between June and July 2017. 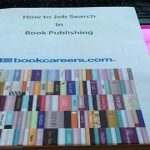 The form was advertised to all those registered with bookcareers.com and the link circulated widely through all trade associations and across social media. We received a total of 1023 valid responses. without your help and trust in us this survey would not be possible. 84.6% of respondents were female, 15.2% were male. The average overall salary was £32,228 up 11.7% on 2013 (£28,661). This is the average of all full-time respondents earning between £16,000 and £90,001 p.a. * The average starting salary is calculated on those who are 19-23 years old, who have been in the industry for less than a year and in their current job for less than a year. * The average starting salary was £20,470 up 13.2% from £17,775 in 2013, which had previously only risen 2.8% from 2008 (£17,300). The disparity between entry level pay and the average overall pay has dropped from 61.2% in 2013 to 36.5% in 2017. In 2008 the percentage difference was 43.8%. 76.3% of the respondents are 35 years of age or younger,compared to 2013 when 80.2% of the respondents were 35 years of age or younger. If you find this data useful, please ask your employer to support our work by purchasing a copy of the full report. *90.4% of all respondents classed themselves as White, British. In 2013 93.7% of all respondents classed themselves as White, British. In 2008, where we first started collecting diversity data, the percentage of White British was 90.7%, so 2017 marginally gives us our most diverse figure yet, but this is not to be celebrated and the hard work and campaigns by Equip and Creative Access must continue so that employees of publishers represent the way that society is today. Men are still being paid more than women, the current gender pay gap is 15.7%. However, after analysing this gender gap in detail it appears for a number of reasons. Whilst there were 9 fewer men who responded to the 2017 salary survey, there were over 100 more women respondents. Even using weighted figures (not published) the same pay disparity was present. The survey results indicate that the gender pay gap is occurring because the majority of men tend to be employed in management or senior roles, and the majority of women appear to be in lower roles, which are paying less. Where men and women are performing equal roles, the gender pay gap is negligible, and in some cases women are getting paid more than their male counterparts. In 2013 the gender pay gap was 16%, up slightly from 15.4% in 2008, but improved on 18.1% in 2004. However, for an industry where 84.6% of respondents are women, it is disappointing that a gender pay gap occurs at all. If you’d like to support our research, please ask your employer to purchase a copy of the full report. 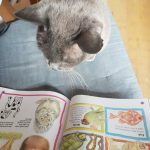 © bookcareers.com 2017. All Rights Reserved. Average Salaries of Selective Job Titles. A complete list appears in the full report along with background details, bonuses and additional data.